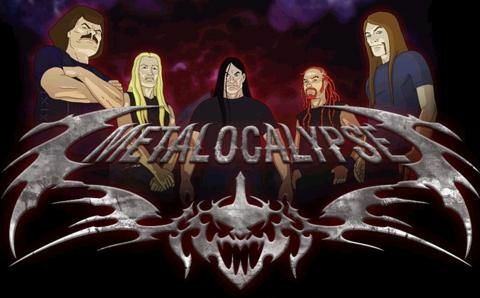 You will Watch Metalocalypse Season 1 Episode 8 online for free episodes with HQ / high quality. Stream cartoons Metalocalypse Episode 8 Snakes ‘n’ Barrels Pickles reunites and tours with his previous band, Snakes N’ Barrels, as the Tribunal plots to permanently erase Pickles’ mind with a new drug they have created: Totally Awesome Sweet Alabama Liquid Snake. But due to the amount of alcohol and drugs Pickles has taken in his career, he is immune. Snakes N’ Barrels makes “the most brutal album ever” which consists of half an hour of the demented screams of the bands hallucinating members.